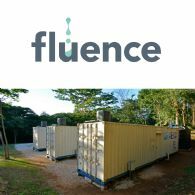 Fluence Corporation Limited (ASX:FLC) (OTCMKTS:EMFGF) is pleased to announce that it secured a contract for the first deployment of the Company&apos;s packaged wastewater treatment plant in the Philippines. The project consists of two (2) Aspiral(TM) Smart Packaged wastewater treatment units that will be commissioned within three months. 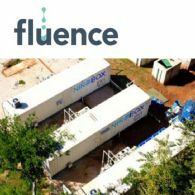 Fluence Corporation Limited (ASX:FLC) (OTCMKTS:EMFGF) is pleased to announce that it has received a US$3.5 million contract to design and build a water treatment plant for a prominent power plant in Buenos Aires, Argentina. Fluence Corporation Limited (ASX:FLC) (OTCMKTS:EMFGF) is pleased to announce the first commercial sale in the USA of its Aspiral(TM) Smart Packaged Wastewater Treatment Plant, based on Fluence&apos;s innovative Membrane Aerated Biofilm Reactor technology. Fluence Corporation Limited (ASX:FLC) (OTCMKTS:EMFGF) is pleased to provide the following quarterly business update to the market alongside its Appendix 4C: Quarterly cashflow report for the three months ended 30 June 2018 (Q2 2018). Fluence Corporation Limited (ASX:FLC) (OTCMKTS:EMFGF) is pleased to announce that Paul Donnelly has been appointed to the Company&apos;s board as a Non-Executive Director. Paul&apos;s appointment fills a casual vacancy left by the recent retirement of Robert Wale. Fluence Corporation Limited (ASX:FLC) (OTCMKTS:EMFGF) is pleased to announce that it has secured a contract for the deployment of the Company&apos;s first seawater desalination plant in the Bahamas - three (3) NIROBOXTM smart-packaged seawater desalination units - that will be commissioned within six months. Fluence Corporation Limited (ASX:FLC) (OTCMKTS:EMFGF) is pleased to announce another contract award to deliver an MABR-based Aspiral(TM) smart packaged solution in China. This latest contract win is for a 200 m3/day wastewater treatment plant for a highway service area in Xiaogan, Hubei Province, in China. The project calls for two (2) Aspiral(TM) L4 units to be commissioned and operational by August 2018. Fluence Corporation Limited (ASX:FLC) (OTCMKTS:EMFGF) is pleased to announce that it was awarded another contract to deliver an Aspiral(TM) smart packaged MABR technology solution in China. This new contract win is for a 1,000 m3/day wastewater treatment plant for the town of Baiceng, Zhenfeng County, Guizhou province. 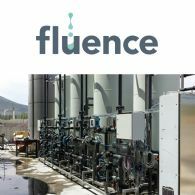 Fluence Corporation Limited (ASX:FLC) (OTCMKTS:EMFGF) announced today that it has received a EUR3.9M contract for a wastewater treatment and waste-to-energy system for its customer ArcelorMittal. 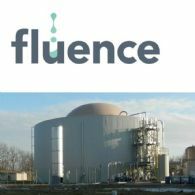 Fluence will design and build these systems for ArcelorMittal&apos;s steel mill in Ghent, Belgium, using innovative anaerobic digestion technology to produce biogas from off-gas fermentation byproducts. Fluence Corporation Limited (ASX:FLC) (OTCMKTS:EMFGF) is pleased to announce that it has executed a tripartite framework agreement with the Yiyang City Government and local partner Hunan Aerospace Kaitian Environmental Technology Company Ltd., a subsidiary of Hunan Aerospace for the deployment of three Aspiral(TM) smart-packaged MABR-based units (formerly known as C-MABR). 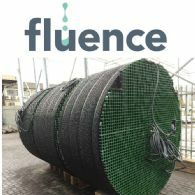 Fluence Corporation Limited (ASX:FLC) (OTCMKTS:EMFGF) announced today that it has secured a contract from the Yiyang City government for the deployment of an Aspiral(TM) L4 smart-packaged MABR-based solution (formerly known as C-MABR) for use in a municipal wastewater treatment plant. The plant will be located in Xielingang Township, Yiyang City, Hunan province, China. 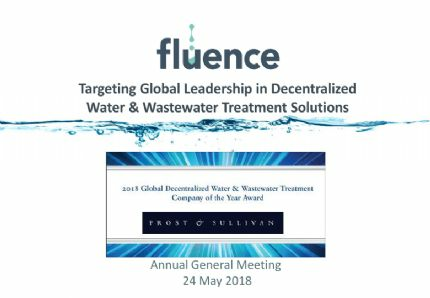 Fluence Corporation Ltd (ASX:FLC) (OTCMKTS:EMFGF) provides the Company&apos;s Annual General Meeting Presentation. Fluence Corporation Ltd (ASX:FLC) (OTCMKTS:EMFGF) provides the Company&apos;s latest presentation at Investor Roadshow. 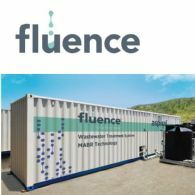 Fluence Corporation Limited (ASX:FLC) (OTCMKTS:EMFGF) announced today that it has secured a contract from the Changping District government for the purchase of an Aspiral(TM) S1 smart-packaged MABR-based solution (formerly known as C-MABR) for use in a municipal wastewater treatment plant. The plant will be located in Changping District, Municipality of Beijing, Hebei province, China. Fluence Corporation Limited (ASX:FLC) (OTCMKTS:EMFGF) is pleased to unveil its Aspiral(TM) family of decentralized, smart packaged wastewater treatment solutions, based on its innovative Membrane Aerated Biofilm Reactor technology. Fluence MABR is a spirally wound, self-respiring membrane that provides aeration for the wastewater process and functions as the biological reactor. 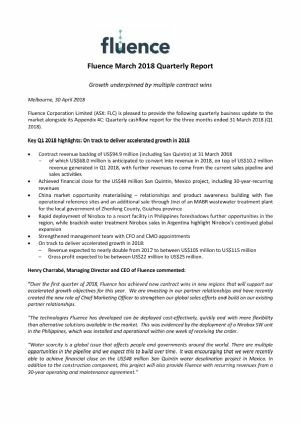 Fluence Corporation Limited (ASX:FLC) (OTCMKTS:EMFGF) is pleased to provide the following quarterly business update to the market alongside its Appendix 4C: Quarterly cashflow report for the three months ended 31 March 2018 (Q1 2018). The directors present their report for the consolidated entity consisting of Fluence Corporation Limited (ASX:FLC) (OTCMKTS:EMFGF) (formerly Emefcy Group Limited) and the entities it controlled at the end of, or during, the year ended 31 December 2017. Throughout the report, the consolidated entity is referred to as the Group. Fluence Corporation Ltd (ASX:FLC) (OTCMKTS:EMFGF) will release its first quarter 2018 (Q1 2018) business update on 30 April 2018, alongside the Company&apos;s Appendix 4C. 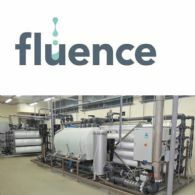 Fluence Corporation Limited (ASX:FLC) (OTCMKTS:EMFGF) announced today that it has received a contract to deliver a water treatment reuse system to its customer Rosenblad Design Group. Fluence&apos;s zero liquid discharge solution will utilize ultrafiltration and reverse osmosis equipment to treat brine for reuse. Fluence Corporation Limited (ASX:FLC) (OTCMKTS:EMFGF) is pleased to announce that it has reached financial close for its seawater desalination project for its customer, Comisión Estatal del Agua de Baja California, the State Water Commission of Baja California, to provide water for the town of San Quintin, Mexico. The directors present their report for the consolidated entity consisting of Fluence Corporation Limited (ASX:FLC) (OTCMKTS:EMFGF) and the entities it controlled at the end of, or during, the year ended 31 December 2017. Throughout the report, the consolidated entity is referred to as the Group. 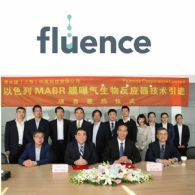 Fluence Corporation Limited (ASX:FLC) (OTCMKTS:EMFGF) is pleased to announce that it has been awarded another contract to deliver its smart-packaged MABR technology solution, for a 1,000 m3/day wastewater treatment plant for the local government of Zhenfeng County, Guizhou province, China. Fluence Corporation Limited (ASX:FLC) (OTCMKTS:EMFGF) is pleased to announce that it has delivered US$8 million in new contract wins calendar year-to-date including the three NIROBOX(TM) orders announced on 1 March 2018. The new contracts were across the Company&apos;s growing global footprint, and further strengthened Fluence&apos;s market position in designated industries and geographies. 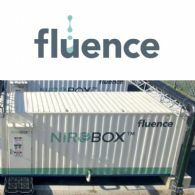 Fluence Corporation Limited (ASX:FLC) (OTCMKTS:EMFGF) is pleased to announce its continued global growth, winning contracts in the Philippines, and Argentina to provide its award-winning NIROBOX(TM) smart decentralised water treatment solutions. Fluence Corporation Limited (ASX:FLC) (OTCMKTS:EMFGF) is pleased to announce the appointment of two senior executives to further strengthen the Company&apos;s executive leadership team as Fluence positions for substantial growth in 2018. Fluence Corporation Limited (ASX:FLC) (OTCMKTS:EMFGF) is pleased to announce its results for the 12-month period ended 31 December 2017 - refer the accompanying ASX Appendix 4E. The Company ended 2017 with a contract revenue backlog of US$95 million. Revenues are expected to nearly double in 2018. Fluence Corporation Limited (ASX:FLC) (OTCMKTS:EMFGF) is pleased to provide the following quarterly business update to the market alongside its Appendix 4C: Quarterly cashflow report for the three months ended 31 December 2017 (Q4 2017). Fluence Corporation Limited (ASX:FLC) (OTCMKTS:EMFGF) is pleased to provide the following business update. Fluence Corporation Limited (ASX:FLC) (OTCMKTS:EMFGF) today announced that as previously disclosed under the terms of the Savcor Group Limited and Emefcy Ltd Share Exchange and Purchase Agreement dated as of 1 October 2015, all but one of the Vendors of Emefcy Ltd (Israel) are entitled to additional shares upon the achievement of defined milestones. 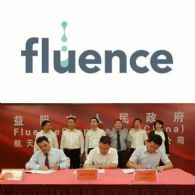 Fluence Corporation Limited (ASX:FLC) (OTCMKTS:EMFGF), a global leader in decentralised water and wastewater treatment solutions, has signed a framework agreement to deliver six Smart Packaged wastewater treatment plants based on Fluence&apos;s MABR technology with partner Jiangsu Jinzi Environmental Science and Technology Company. 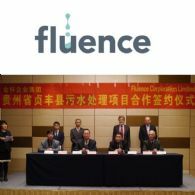 Fluence Corporation Ltd (ASX:FLC) (OTCMKTS:EMFGF) provides the Company&apos;s latest presentation to IR Roadshow Hong Kong and Australia. Fluence Corporation Limited (ASX:FLC) (OTCMKTS:EMFGF) a global leader in water and wastewater treatment solutions, today announced that it has executed a binding agreement with Qingshuiyuan Environmental Company to design, build and operate its first commercial, fully packaged, containerised C-MABR plant with a capacity of 300,000 liters/day. 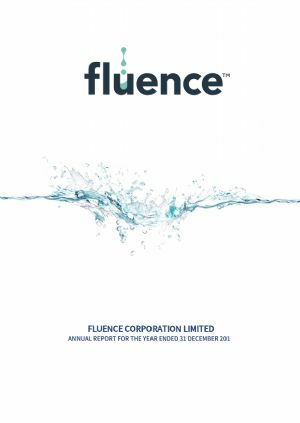 Fluence Corporation Limited (ASX:FLC) (OTCMKTS:EMFGF), a global leader in fast-to-deploy decentralized water, wastewater, and wastewater-toenergy treatment solutions, is pleased to release its Quarterly Report and Cash Flow Report for the period ending 30 September 2017. 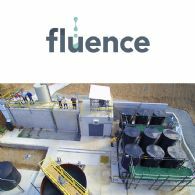 Fluence Corporation Limited (ASX:FLC) (OTCMKTS:EMFGF) has signed an agreement with Stanford University to deploy, test and evaluate the Company&apos;s MABR wastewater treatment technology at Stanford&apos;s Codiga Resource Recovery Center. Fluence Corporation Limited (ASX:FLC) (OTCMKTS:EMFGF) today announced that it has been awarded a US$1.7 million contract with Irotop S.A., a leading Ecuadorian fish processing company to purify wastewater from its tuna and sardine processing and packing plants. 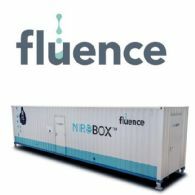 Fluence Corporation Limited (ASX:FLC) (OTCMKTS:EMFGF) today announced that it was awarded a EUR1.5M contract by VINCI Construction Grands Projets (France) to supply 3 NIROBOX(TM) smart packaged seawater desalination units, for the island of Mayotte. This success follows the Company&apos;s recent award of a 10,000m3/d NIROBOX(TM) desalination plant in South Africa. Fluence Corporation Ltd (ASX:FLC) (OTCMKTS:EMFGF) provides the Company&apos;s latest Investor Presentation. 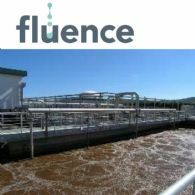 Fluence Corporation Limited (ASX:FLC) (OTCMKTS:EMFGF), a global leader in water and wastewater treatment solutions, today announced that it has been awarded its first SUBRE contract to upgrade a centralized wastewater treatment plant. The customer, Mayanot Ha-Amakim, a water utility in Israel, has selected Fluence to upgrade its Mayan Zvi wastewater treatment plant. Fluence Corporation Limited (ASX:FLC) (OTCMKTS:EMFGF), a global leader in water and wastewater treatment solutions, today announced that it has successfully produced the first Membrane Aerated Biofilm Reactor (MABR) module in its newly-built production facility in Changzhou, Jiangsu Province, China. 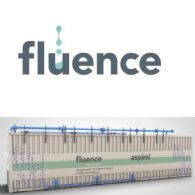 Fluence Corporation Limited (ASX:FLC) (OTCMKTS:EMFGF), a global leader in water and wastewater treatment solutions, today announced the appointment of Arnon Goldfarb to the Board of Directors as a Non-Executive Director, effective immediately. Following several months of detailed discussions and evaluation, Fluence Corporation Limited (ASX:FLC) (OTCMKTS:EMFGF), a global leader in distributed water and wastewater treatment solutions, today announced the signing of an exclusive memorandum of understanding with an African nation to design and construct an advanced water treatment plant. 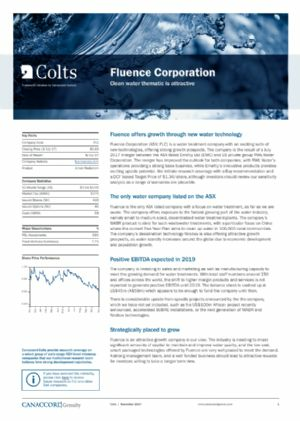 Fluence Corporation Limited (ASX:FLC) (OTCMKTS:EMFGF), a global leader in fast-to-deploy decentralized water, wastewater, and wastewater-to-energy treatment solutions, today announced its financial results for the six (6) months ended June 30, 2017 and provided an update on operations and post-merger progress. 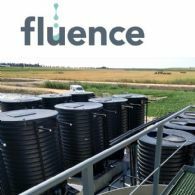 Fluence Corporation (ASX:FLC) (OTCMKTS:EMFGF), a global leader in decentralized water and wastewater treatment solutions, has announced a US $10.0 million strategic investment in the Company by a large US-based institutional investor. A second investor will also participate in the Private Placement, bringing the total amount raised to US $11 million. 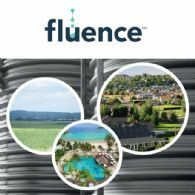 Fluence Corporation Limited (ASX:FLC) (OTCMKTS:EMFGF), a global leader in water and wastewater treatment solutions, today announced that its subsidiary, Fluence Italy, has secured a contract to develop and build a wastewater treatment for Avimecc, a poultry meat processing company. Emefcy Group Limited (ASX:EMC) (OTCMKTS:EMFGF) and RWL Water LLC have completed their definitive merger agreement effective July 14, 2017 to form Fluence Corporation Limited (ASX:FLC), bringing together breakthrough technologies and proven delivery platforms to optimize treatment solutions for the water cycle for the 21st century. Having received overwhelming support of shareholders and satisfied all purchase agreement conditions, Emefcy Group Limited (ASX:EMC) (OTCMKTS:EMFGF) and RWL Water LLC are pleased to announce the consummation of their business combination and the creation of Fluence Corporation Limited. Emefcy Group Ltd (ASX:EMC) (OTCMKTS:EMFGF) provides the Company&apos;s latest Presentation to EGM titled &apos;How Proven Successes Drive Future Growth&apos;. Emefcy Group Limited (ASX:EMC) (OTCMKTS:EMFGF), a global leader in energy-efficient decentralized wastewater treatment solutions, has recently achieved a number of key operational milestones. 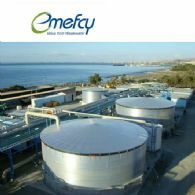 Emefcy Group Limited (ASX:EMC) (OTCMKTS:EMFGF), a global leader in energy-efficient wastewater treatment solutions, today announced that it successfully completed acceptance testing on its high-speed Membrane Aerated Biofilm Reactors production line for China. The production line was built and tested in Israel, and will now be dismantled and shipped to the new factory in Changzhou. 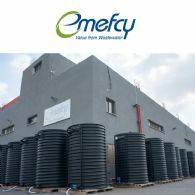 Emefcy Group Ltd (ASX:EMC) (OTCMKTS:EMFGF) proposes to acquire all of the limited liability company interests in RWL Water LLC, a global provider of water, wastewater and reuse solutions from RSL Investments Corporation. The acquisition will be funded by the issue of Emefcy Shares. Emefcy Group Ltd (ASX:EMC) (OTCMKTS:EMFGF) and RWL Water LLC announced today that they have executed a binding Sale and Purchase Agreement pursuant to which the two companies would combine. Following closing, the merged company would be renamed Fluence Corporation Limited. Emefcy Group Limited (ASX:EMC) (OTCMKTS:EMFGF), a global leader in energy-efficient wastewater treatment solutions, today announced its third commercial success in China, as part of a broader long-term cooperation agreement with Qingshuiyuan Environmental Company. 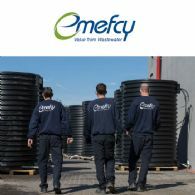 Emefcy Group Ltd (ASX:EMC) (OTCMKTS:EMFGF) a global leader in energy-efficient wastewater treatment solutions, today announced it entered into a binding purchase agreement with Shanghai Winner Environmental Technologies Co., Ltd to develop a commercial wastewater treatment plant in China for VOSS of Norway ASA. Emefcy Group Limited (ASX:EMC) (OTCMKTS:EMFGF), a global leader in energy-efficient wastewater treatment solutions, today announced it entered a Memorandum of Understanding with Zhejiang Tiandi Environmental Protection Technology Co., Ltd to develop a commercial wastewater treatment plant in Zhejiang Province over the next 90 days and deploy shortly thereafter. Emefcy Group Ltd (ASX:EMC) (OTCMKTS:EMFGF) is pleased to provide the Company&apos;s latest AGM Presentation regarding proposed merger of Emefcy and RWL Water. 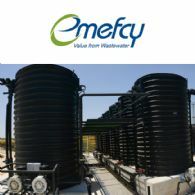 Emefcy Group Ltd (ASX:EMC) (OTCMKTS:EMFGF) is pleased to announce that it has signed a Letter of Intent with respect to a proposed business combination with RWL Water that, if consummated, would create a global provider of innovative, distributed water and wastewater treatment solutions. 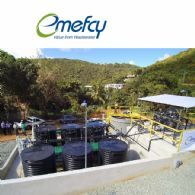 Emefcy Group Limited (ASX:EMC) (OTCMKTS:EMFGF), a provider of innovative, high effluent quality, wastewater treatment solutions, today announced that its Membrane Aerated Biofilm Reactor-based wastewater treatment facility at Bordeaux in St. Thomas, U.S. Virgin Islands, was approved by the US Environmental Protection Agency. Emefcy Group Ltd (ASX:EMC) (OTCMKTS:EMFGF) is pleased to release the attached ASX Appendix 4C Statement of Cash Flows - March Quarter 2017. Emefcy Group Limited (ASX:EMC) (OTCMKTS:EMFGF), a global leader in energy-efficient wastewater treatment solutions and RWL Water, one of the fastest growing water solutions companies in the world, today announced completion of manufacturing and delivery of Emefcy&apos;s packaged demonstration plants to two of the company&apos;s Chinese strategic partners. 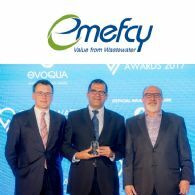 Emefcy Group Limited (ASX:EMC) (OTCMKTS:EMFGF), a global leader in energy-efficient wastewater treatment solutions, today announced that it was recognized as a 2016 Breakthrough Water Technology Company of the Year by Global Water Intelligence, one of the industry&apos;s preeminent research organizations. 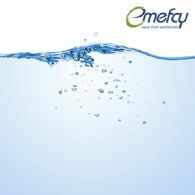 Emefcy Group Ltd (ASX:EMC) (OTCMKTS:EMFGF), a global leader in energy-efficient wastewater treatment solutions and RWL Water, one of the fastest growing water solutions companies in the world, today announced their first jointly developed project in China. The directors present their report for the consolidated entity consisting of Emefcy Group Limited (ASX:EMC) (OTCMKTS:EMFGF) and the entities it controlled at the end of, or during, the year ended 31 December 2016. Emefcy Group Ltd (ASX:EMC) (OTCMKTS:EMFGF), a global leader in energy-efficient wastewater treatment solutions, and RWL Water, a New York-based global water, wastewater and waste-to-energy business, announced today the formation of a strategic alliance to accelerate both companies&apos; penetration of the rapidly growing water treatment market in China. The Directors of Emefcy Group Ltd (ASX:EMC) (OTCMKTS:EMFGF) present their report, together with the financial statements for the financial year ended 31 December 2016, on the consolidated entity consisting of Emefcy Group Limited; Emefcy Limited based in Israel; and Emefcy Hong Kong Limited, a wholly owned, Hong Kong based subsidiary incorporated on 18 July 2016. 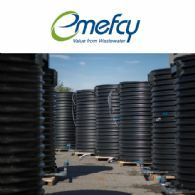 Emefcy Group Limited (ASX:EMC) (OTCMKTS:EMFGF), a global leader in energy-efficient wastewater treatment solutions, today issued a progress report in its China strategy. The Company has achieved many of the milestones defined in its July 2016 announcement of the strategy, keeping it on target toward its goal of market leadership by 2020. 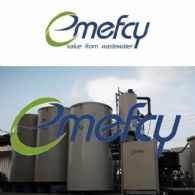 Emefcy Group Ltd (ASX:EMC) (OTCMKTS:EMFGF) a global leader in energy-efficient wastewater treatment solutions, today announced the signing of its second contract in Ethiopia. In collaboration with its local partner TodayTomorrow Ventures Inc., the company will supply its proprietary technology for a new wastewater treatment plant for a large residential compound in Addis Ababa. Emefcy Group Ltd (ASX:EMC) is pleased to announce the planned deployment of the first Emefcy MABR system in California. Emefcy Group Ltd (ASX:EMC) is pleased to announce the official inauguration of its first Membrane Aerated Biofilm Reactor wastewater treatment facility at Bordeaux in St Thomas, US Virgin Islands. Emefcy Group Limited (ASX:EMC) announces that less than two weeks since arriving on site, its first demonstration packaged plant is in operation and has been commissioned ahead of schedule at Wuxi Municipal Design Institute, one of the top institutes in China and an ideal, state-of-the-art location for Chinese customers to visit. Emefcy Group Limited (ASX:EMC) is pleased to announce the signing of a distribution and deployment partnership with China Gezhouba Group Investment Holding Co Ltd to utilize up to 10,000 Membrane Aerated Biofilm Reactor Modules in the Hubei, Hebei, and Guangdong Provinces in rural China in initial projects under negotiation. 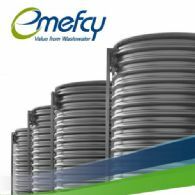 Emefcy Group Ltd (ASX:EMC) is pleased to provide the company&apos;s latest Investor Presentation with the topic of "Positioned to Capture Growing Opportunities in Global Wastewater Markets". Emefcy Group Ltd (ASX:EMC) is pleased to announce the signing of a distribution & deployment partnership for Emefcy&apos;s Membrane Aerated Biofilm Reactor based wastewater treatment solutions with Jiangsu Jinzi Environmental Technology Company, Ltd., a leading environmental protection company focusing on the design, building and operation of wastewater treatment systems for rural communities in the Central and Southern Provinces of China. The memorandum of understanding with Jinzi will open access to several key southern provinces in China. Emefcy Group Limited (ASX:EMC) has been listed as one of the Top 10 Technologies at WEFTEC by Water Online&apos;s Editor, Kevin Westerling, for its Membrane Aerated Biofilm Reactor. Emefcy Group Ltd (ASX:EMC) is pleased to provide the company&apos;s Appendix 4C Statement of Cash Flows for the period ended 30th September 2016. Emefcy Group Limited (ASX:EMC) signs distribution & deployment partnership for Emefcy&apos;s Membrane Aerated Biofilm Reactor based wastewater treatment solutions with Beijing Sinorichen, throughout Beijing Province and Northern China. The partnership represents a potential pipeline of up to 100,000 MABR modules over five years, delivering up to 3.5 billion litres per day treatment capacity. 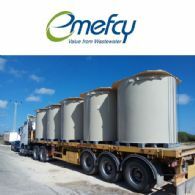 The Directors of Emefcy Group Ltd (ASX:EMC) are pleased to announce that the official inauguration of the Company&apos;s first commercial municipal scale MABR-based wastewater treatment plant took place at a public ceremony in HaYogev, Israel on 15th September. Emefcy Group Ltd (ASX:EMC) are pleased to provide the Company&apos;s ASX Appendix 4D Half Year Report and Interim Financial Statements for the six months ended 30 June 2016. The Directors of Emefcy Group Limited (ASX:EMC) are pleased to announce the signing of three key agreements, which collectively will help to enable the Company&apos;s plans to establish a Company owned and operated state of the art high-volume manufacturing facility in the Chinese province of Jiangsu. The Directors of Emefcy Group Limited (ASX:EMC) are pleased to announce the signing of Emefcy&apos;s first Chinese sales distribution partnership for Emefcy&apos;s Membrane Aerated Biofilm Reactor ("MABR")-based wastewater treatment solutions with Wuxi Municipal Design Institute, one of the top institutes in China. The Board of Directors of Emefcy Group Ltd (ASX:EMC) is pleased to announce the signing of advisory agreements with several key China-based advisors providing valuable knowledge and relationships important in helping the Company implement its China strategy. Savcor Group Limited (ASX: SAV) - Full Year Results 2007 - Mr Hannu Savisalo, CEO; Savcor Group Limited (ASX: SAV) present the following audio webcast regarding "SAV - Full Year Results 2007 - Mr Hannu Savisalo, CEO". You may also download this audio webcast to your computer or portable audio player.